Just as I'm thinking I've got the the hang of this cake malarkey I'm put back in my place. This cake was a nightmare from start to finish, one disaster after another... fondant tearing, arms falling off (not mine), ganache splitting and so on. I can't take credit for the design of this cake as it was a Cakey Cake creation. I always search the web for inspiration before starting a cake but I'm determined to start coming up with my own designs - searching for inspiration on the theme as opposed to other cakes that match the theme. 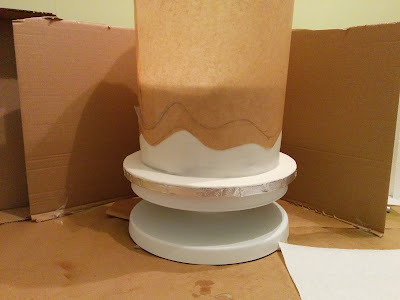 The hills are airbrushed following Cakey Cake's tutorial. This was the part I was most expecting to go wrong but it was the only part that went well. The only mistake I made was creating too much variation in the height of my hills, so when I raised my template to spray again, I couldn't position it without overlapping what I'd already done. The solution was simple, although it took Chris and I an embarrassingly long time to realise it. I made a mark on my template above the highest hill so I would be able to line it up again. Then I drew a new set of hills just slightly above the first ones and running in to the highest one, cut the template again, and placed it back on to the cake. I think it worked well as it makes the hills in the background disappear behind the ones in the front. Inside is a vanilla sponge and my first attempt at a strawberry swiss meringue buttercream (SMBC) filling. This is a lot lighter, fluffier and not as sweet as normal buttercream icing. It passed the taste test but my recipe made a very small amount. It was only just enough for the filling so I ended up making a dark chocolate ganache to frost the cake, which I think overpowered the SMBC. Not to mention I overheated my first batch of ganache and it ended up in the bin. At least I know to increase the quantities for my SMBC next time. Again this cake is covered with my home made marshmallow fondant. I think I made a mistake this time as the fondant was quite dry before I'd finished adding all the icing sugar. I probably didn't melt my marshmallows enough but I was able to save it by kneading in some store bought fondant to give it more stretch. 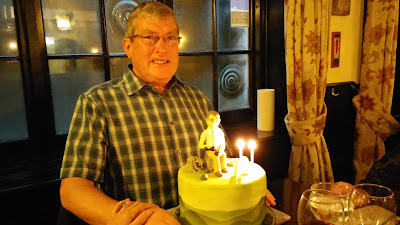 As you've probably worked out, I did not enjoy every minute of this cake but the reaction it got made it all worthwhile. 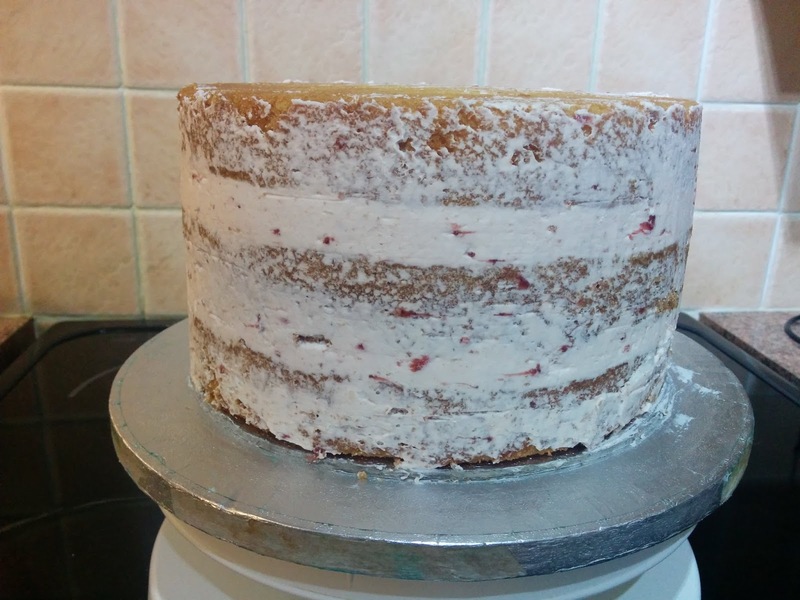 I get frustrated when a cake is not going to plan because I want it to be perfect, but when you see how much someone appreciates it, that is what makes it perfect. When Fred, my father-in-law to be, "got something in his eye" and the rest of us struggled from a similar affliction, I forgot all the disasters and mishaps with this cake and in that moment it became one of my favourites.